I bet you are - even if you don't consider yourself one! Or if you don't feel like one all the time! 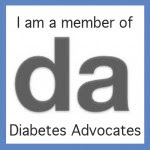 I live with a little diabetes warrior. But I bet you knew that! 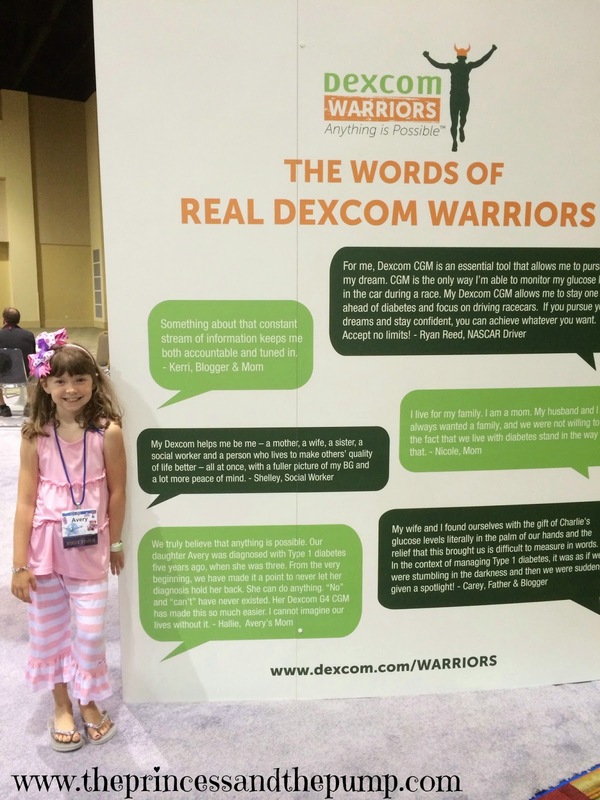 Sweets is an official Dexcom Warrior! You can check out our story on their website by clicking here. There's also stories from other warriors like Ryan Reed, Kerri Sparling, and more awesome peeps! 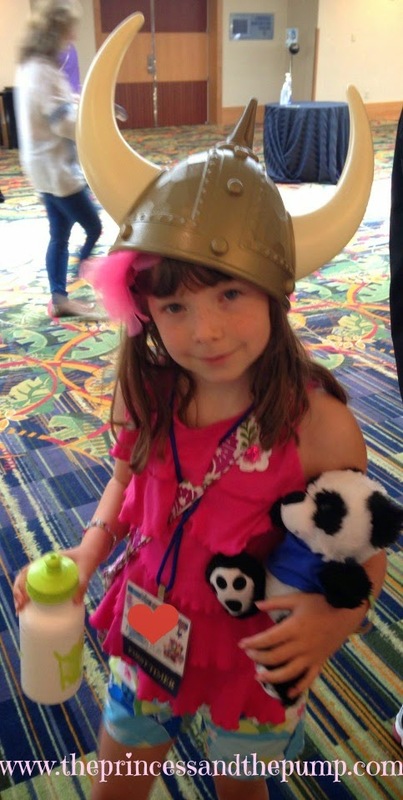 She got to get in on the warrior action when we were at FFL! She loved the warrior hats! And she was thrilled to see her name on their signage! 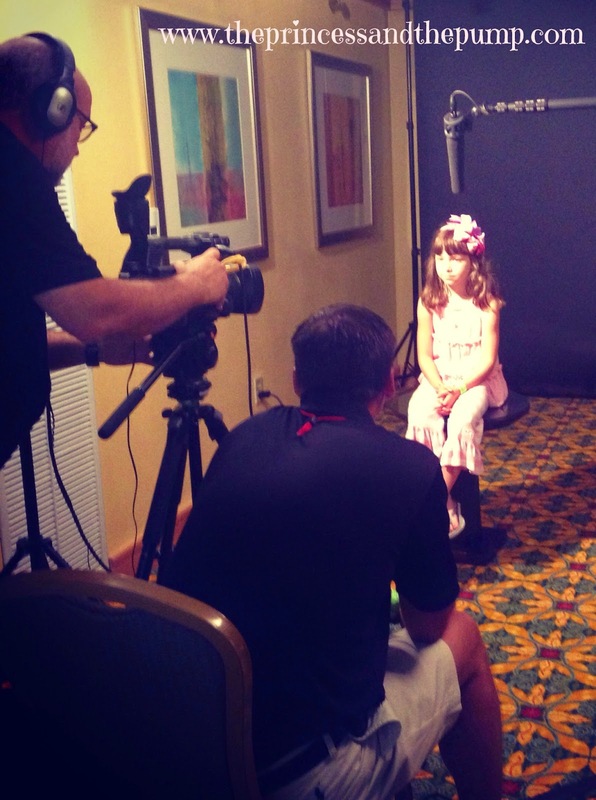 And she REALLY loved doing an interview with Dexcom! 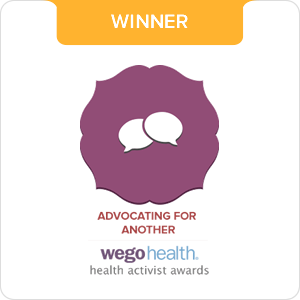 We have been happy to share our Dexcom story whenever asked! 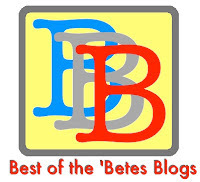 You can read many of the posts about our Dexcom journey under the tab at the top of the blog. Our Dexcom G4 is probably my favorite piece of our diabetes technology. I honestly don't know how I could ever life without it! I get emails all the time with people asking me about it and if we still use and like it. So, I'm going to answer some of the most frequently asked questions I get about our Dexcom CGM. How long have you been using the Dexcom? Sweets has been using it for over 4 years. She got it about a year after her diagnosis. It took ONE day. Ok, maybe one HOUR. And I was hooked. Where does she wear her sensor? Check out THIS POST if you want to know what that is on her Dex. What do you use to hold it down? We use something called Opstie Flexifix. We get it from Amazon. It comes in a roll and we're still using our FIRST roll. You don't use a ton of it and so it lasts. We don't always have to use the extra tape but find it works great - especially in the summer when she's swimming a lot! We do find that it needs to sit on her skin awhile before getting wet. Like overnight or a good chunk of hours. If not, it just doesn't stick as well. Do you prepare the skin before insertion? No. We don't use anything to prep the skin. She says it itches if I use an alcohol wipe. So we use nothing. How long does she wear a sensor? Well.... it says 7 days, right?!? So of course we follow the rules! Ok, you know that's not true! We can get a good 14 days out of a sensor. We could go longer than that many times but we pull it at the 14 day point. I don't want her skin to get infected or scarred. Most of the time the wire comes out and you can't even tell where it was. Where does she keep it during the day? She wears it in a pouch around her waist when she's at school. When she is at home, she takes it off and it sits in our kitchen or family room. If we go out, I stick it in my purse. When she's at gymnastics, I keep it with me. When she's at dance, she keeps it in her bag in her dance room. She also keeps it in her bag for cheer practice. I'm able to keep tabs through the cgm in the cloud (You can read more about that HERE.). Where do you keep it at night? We keep the receiver in our room overnight. We are lucky and have no issues with it not picking her up in our house. We keep it downstairs with us when she's in bed and we take it up with us when go to bed. Our bedroom is right next to hers. However, it really reads from anywhere in our house. We find the range to be great. Like I said, it picks her up in any room of our house. And house is not small. It can pick her up across the gym at gymnastics. I don't know how big that is but it's far. At least half a football field if not more. Do you use numbing cream? Does the insertion hurt? Yes we use numbing cream. No, it doesn't hurt her. Honestly, she does not need the cream. It's all mental. There are times when we're in a hurry and leave it on for less than 5 minutes and she still doesn't feel anything. The G4 is even less painful that the old 7 Plus. She honestly doesn't feel it most most of the time. She used to get uptight about sensor changes and so we would try to do it when she was asleep. But now it's so easy. It's awesome. Is it easy to insert? YES! We did not have a rep in our area when we first started. We got a trial one and the lady I talked to just told me to watch the demo online. So I did! It's so easy! A little nerve wracking at first but once you do it once - you got it! Yes. She does. It makes her feel safer. She does not fuss about wearing it at all. We do have issues from time to time with her ignoring the alarms or saying she's low when she's not... but that has, I believe, more to do with normal kid behavior than the actual device. She gets burned out. She just wants to be a kid. But she knows she has more freedom with her Dexcom and it makes her feel safer so never says she doesn't want to wear it. How does her school and/or other caregivers feel? They love it! They all feel more comfortable knowing that she has something that will alarm if she's too high or low. 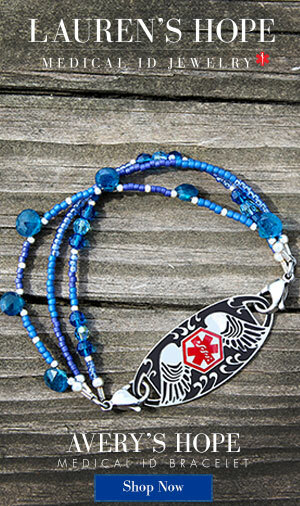 In fact, people are more willing to care for her knowing she has a Dexcom to keep watch! Yes. We find it to be quite accurate. There are times when it's off a bit. It's not 100% perfect all the time. But it's close. Most fingersticks are pretty close to what Dex is reading. Especially after day one. There are times when she may be falling or rising fast that it has a hard time keeping up. It can be lag behind a bit until it can catch up. But overall, it's very accurate. YES! I feel totally comfortable relying on it at night. Because I trust the accuracy, I can sleep and know it will alarm if she's too high or too low. I do sometimes still set an alarm. Jason always sets an alarm to check Dex. But it's so nice to just be able to look at it and go back to sleep! I can't tell you the piece of mind it has given us. Do you still do fingersticks? Yes. They tell you not to treat based on the Dex number but to confirm with a fingerstick. Sometimes we do that and sometimes we don't. It all depend on her number and trends. If she's at a good number and we know she's steady and we don't need to correct, we don't always test. We do still do fingersticks, though. But we do way less than we would if we didn't have the Dexcom. Has it helped your control? Yes. Because Sweets was so young when she was dx'd, the hospital had us post bolusing her meals. They never pushed prebolusing her. 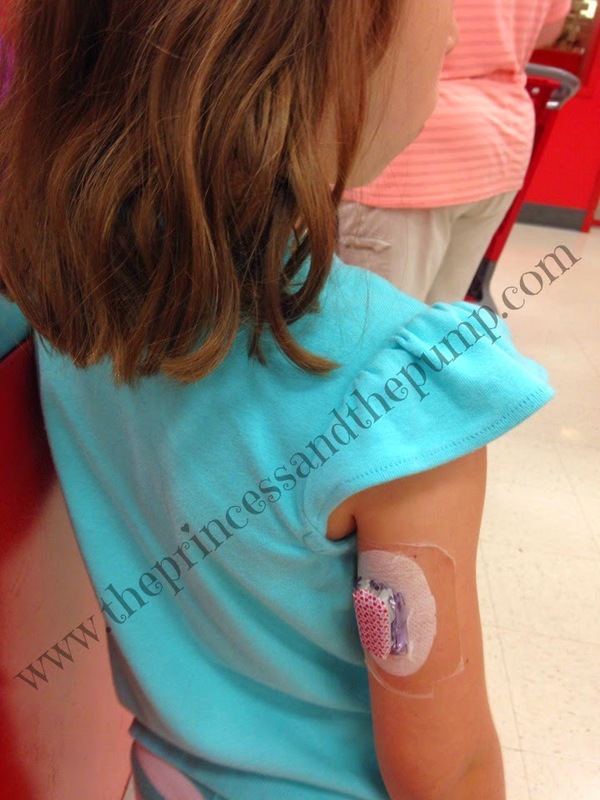 She got her Dexcom about a year after her dx - age four. It was still hard to prebolus. Honestly, it's only recently gotten easier to prebolus because she knows how to say what she wants while understanding she has to eat it. Anyway, when we first say that line... that post meal spike... WOW. Sure, she was back in range after 3 hours. 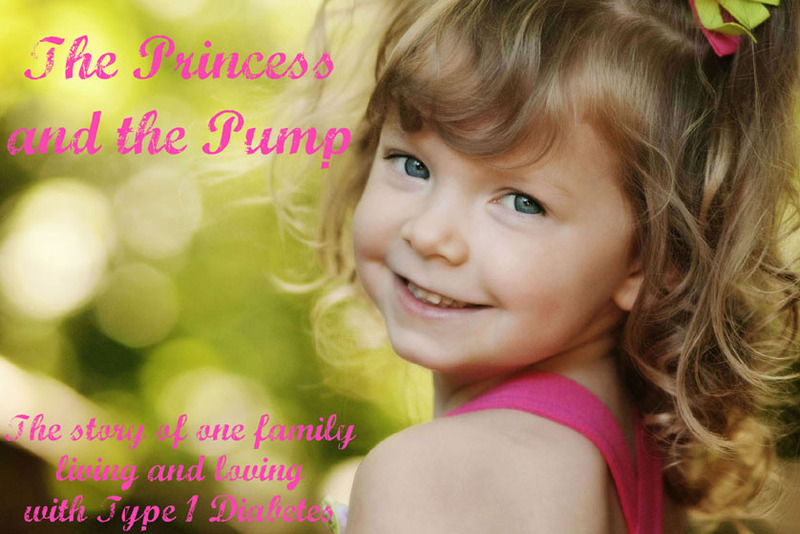 But seeing how HIGH she went without a prebolus was huge. We started spilling the bolus right then. Now we do lots of prebolusing - especially for breakfast and it's really helped keep her in range. We can watch that curve and now when to prebolus and how much depending on time of day and time of food. It's really helped us tighten up her control. YES! I can't say that enough. I can't imagine living without it! It's saved her life - for real. And we can't thank Dexcom enough. Dexcom doesn't compensate us in any way for me posting this or for us telling our story. I just honestly feel very passionate about this device and how it's changed not only our diabetes management but her life. I can not recommend it enough! I'm curious to know how you get more than 7 days out of this. Do you just hit "Stop Sensor" and then hit "Start Sensor" without taking out the old and putting in a new one? I am wondering the same as above. Our automatically stops after seven days to the second. How do you get more than seven days out of your sensor? I just stop the sensor and then start it again without actually removing it. Just as Teacher/Mom wrote. Simply hit "Stop Sensor" and "Start Sensor" without removing the old sensor. I do this with my Dexcom, too. When using the Opstie Flexifix do you use 2" or 4"? Thanks!! We use the 4 inch but I cut it with nail scissors so I've got little pieces that fit around it. Phone do you put on the opstie flex fix? Do you put it over the sensor? We haven't been able to get site to last more than two hours of swimming and we are a family that goes to the pool everyday. We put it around the sensor. I cut it into four pieces and tape around it. Lucky for us, things stick well to A. I know some people use these bands that go around the arm to hold sites or Dex in place. I'm not sure what they are called. I know other use skin tac and other things to help with the adhesion.